The holidays are a perfect time to get together with friends and family and what better way to bond than over a great movie. Whether you’re into action, comedy, musicals, or a movie in between, there’s something for everyone either playing now in theaters or coming out soon. From mother-son road trips and babysitting mishaps to mob bosses and bounty hunters, we’ve got your holiday movie-going experience covered! 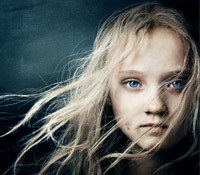 Jean Valjean (Jackman) is released from prison after serving 19 years for stealing a loaf of bread. While attempting to create a new life for himself he breaks parole and creates a new identity for himself as a wealthy factory owner and mayor of Montreuil-sur-Mer. Meanwhile, Inspector Javert (Crowe) wants to find him and return him to prison. BUZZ: The stage version of Les Misérables has been performed in 42 countries and 310 cities and has won over 75 major theatre awards, including eight Tony Awards for its Broadway production. In the Deep South two years before the Civil War, a former slave (Foxx) sets out to rescue his wife from a cruel plantation owner (DiCaprio) with the help of his rescuer (Waltz). 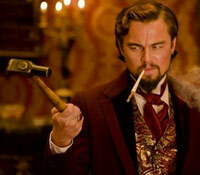 BUZZ: The film was inspired by the 1960s spaghetti western Django. Original Django star Franco Nero plays a cameo role. Having created an amazing organic cleaner, inventor Andy Brewster (Rogen) can’t seem to get anyone interested in manufacturing it. He plans a business trip and decides to take his mother (Streisand) along in order to surprise her with a stop in San Francisco to see one of her old flames. BUZZ: Although she played a supporting role in Little Fockers and Meet the Fockers, this is Barbra Streisand’s first lead role in a feature film in over 15 years. A young woman (Linz) looking to escape from her life falls in love with a handsome aerialist (Zaripov). 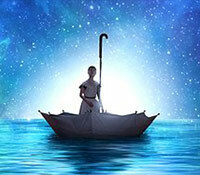 When they’re separated, they travel through the astonishing, dreamlike 3D worlds of Cirque du Soleil in search of each other. BUZZ: The film is made of the best elements of seven live Cirque du Solei shows performaned in Las Vegas. Just as in the live performances, there is no dialogue in the film. When six shots are fired during rush hour, five random people are left dead and the city is thrown into chaos. The evidence points to former army sniper James Barr, who insists he’s innocent, and asks the police to bring in Jack Reacher. The seemingly simple case becomes a complex, mind-boggling series of events. BUZZ: Fans of the Jack Reacher books weren’t happy to hear Tom Cruise was cast in the title role because in the novels, Reacher is described as being 6’5” with dirty blond hair, weighing between 210 and 250 pounds. As Pete (Rudd) and Debbie (Mann) each approach their 40th birthday, they find themselves increasingly disillusioned with married life and try to find a way to revitalize their lackluster relationship. BUZZ: This is a spin-off that focuses on married couple Pete and Debbie, who were supporting characters in the 2007 comedy Knocked Up. Maria (Watts), Henry (McGregor) and their three sons are enjoying their winter family vacation in Thailand until a tsunami hits the day after Christmas and changes their lives forever. 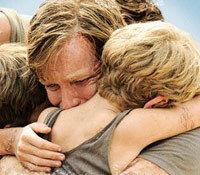 BUZZ: The Impossible is based on the true story of a family caught in the 2004 Indian Ocean tsunami. Grandfather Artie (Crystal) and his wife Diane (Midler) agree to babysit their three grandchildren using modern methods when their daughter goes away for work, but find themselves having to resort to their old-school parenting skills. BUZZ: This movie was previously titled Us & Them. 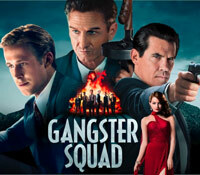 Set in Los Angeles in the 1940s, Brooklyn-born mob king Mickey Cohen (Penn) runs the show under the protection of paid-off police and politicians. Intimidation is key in Cohen’s world, but a secret LAPD team, led by John O’Mara (Brolin) and Jerry Wooters (Gosling) are ready to tear Cohen’s operation apart. BUZZ: The film was originally scheduled to be released in September 2012 but was bumped to January 2013 because some additional scenes needed to be shot. An ex-cop turned private eye (Wahlberg) finds himself involved in a scandal after the mayor (Crowe) hires him to find out who his wife (Zeta-Jones) is cheating with. 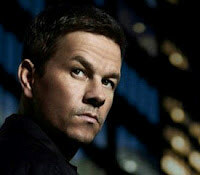 BUZZ: Wahlberg also produced this film. He previously produced and starred in The Fighter, which was nominated for an Academy Award in the Best Film category. Young sisters Victoria and Lily vanish from their suburban neighborhood without a trace. Five years later, they’re found in the woods and taken in by their uncle Lucas (Coster-Waldau) and his girlfriend, Annabel (Chastain). However, the girls are haunted by a malicious ghost. BUZZ: The film, which was shot in Toronto and Hamilton, Ontario, is based on a Spanish-language short film by director Andres Muschietti, who also directed this version. Fifteen years after they were nearly killed by a witch with a gingerbread house, Hansel and Gretel have become expert bounty hunters who get rid of witches. 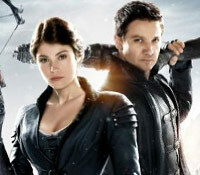 BUZZ: This film is a dark spin on the famous fairy tale Hansel and Gretel written by the Brothers Grimm.